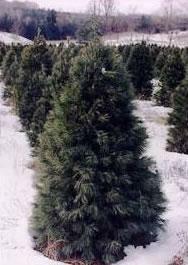 Thinking about growing Christmas trees? 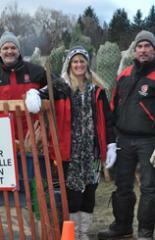 Christmas tree farming in Ontario can be a great full- or part-time occupation. 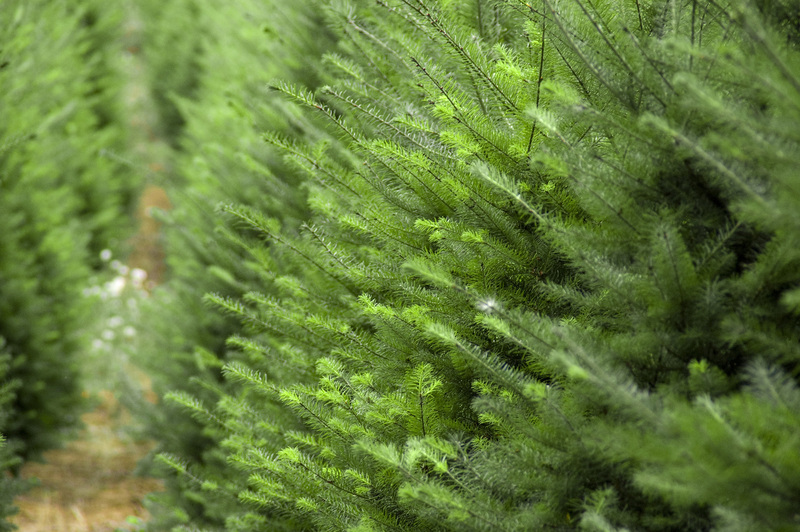 Christmas trees can be an environmentally friendly, beautiful and profitable crop. Unfortunately, that is not the way it works out for many people who enter the business. To bring your risks down to an acceptable level, it is crucial to be informed about the basics of the industry before you make large commitments. Each farm situation is different, but as a grower organization we can point you in the right direction, or even tell you about Christmas tree farms currently for sale. The Grower Education Program offers new members a unique opportunity to learn about the Christmas tree business. CTFO is a non-profit organization. We are funded by farmers in the business of growing Christmas trees as a cash crop. Since 1961, our stated aim has been: "to provide, through co-operative effort and the exchange of experience, practical solutions for many of the problems concerning the production, marketing and retailing of Ontario grown Christmas trees." Why are we willing to educate future competitors? Frankly, it's in our members' interest: a healthy Christmas tree industry needs new entrants who are capable, innovative and motivated to produce and successfully market a quality product. The industry has an oversupply of low quality product. These poor trees most often come from one or two large plantings made by well-intentioned people. They are trying to realize at least a bit of revenue from their years of wasted effort and investment. An excess of low quality product depresses prices. 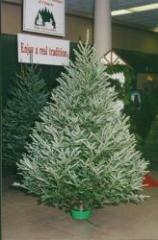 What is worse, poor quality gives consumers reason to switch to an artificial tree and it hurts our industry's image. We are also expecting reasonable payment from you in return for the opportunity of being educated. You mean I have to spend money? Of course, you are starting a business. This is a small beginning! You very much need to shorten your learning curve! 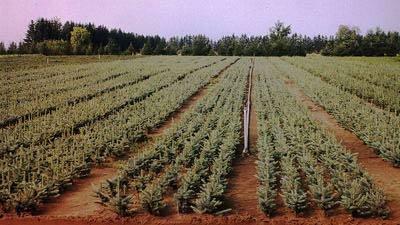 Christmas trees are different from most farm crops: there is, on average, a ten year crop cycle. Your first harvest is at least eight years away. You can prevent many costly mistakes by timely learning. Making good early decisions is crucial! Christmas trees are not a commodity product, like corn or soybeans. When trees are ready to harvest you need customers, before you can even start talking about price. Hundreds of acres of conifers grown on Ontario farms will never be Christmas trees. You need to be at least an Associate Member of the Christmas Tree Farmers of Ontario (CTFO), in order to participate in our Grower Education Program. Associate membership is available only to individuals who are not selling trees. The cost is $140. per year. CTFO members receive subscriptions to Ontario Christmas Tree News and the Great Lakes christmas Tree Journal as a free member benefit. Members anywhere in Ontario have toll-free access to the our office and are encouraged to call. The New Grower Education Program has a one-time fee, in addition to the cost of membership. The course is now made available on-line, which helps us keep costs as low as possible. Perhaps you just want to put your land into trees, instead of producing marketable Christmas trees. Creating a forest is a desirable long term goal, for which many people strive. Compared to Christmas tree production, your effort and investment will be minimal. Don't spend your money joining CTFO; contact the Ontario Woodlot & Sawmill Operator's Association (fax: 613-692-0831) or your local Conservation Authority. Next: What does the Grower Education Program offer? What does the GROWER EDUCATION PROGRAM offer? The following information contain more details about our New Grower Correspondence Course. You will have an understanding of the factors to be considered in getting started in the Christmas tree business. You will have information on the key factors involved and know where to get additional information. You will have made a start in planning your operation and will be able to continue the process on your own. You will be able to determine what is particularly relevant to your operation in the various components of the Grower Education Program. The New Grower Education Program is now available electronically. When you have paid your registration fee, you will be contacted with an access code which will allow you into the Members Only section of the CTFO website. The accompanying handbook and instructions will be mailed to you by surface mail. The program is divided into modules which you may complete at your own pace and concenience. When you return an assignment your mentor (an RPF) will review your work. You will then receive the review and the mentor's comments and observations. History and current state of the Christmas tree industry. Types of Christmas trees in Ontario and North America. Marketing - Overview of approaches, quality is crucial, local market size, competition, location, planning harvest sizes, pricing strategies, building your clientele, satisfying your customers. Production - Soil types, drainage, topography, climate, preparation, planning, layout, tree varieties, seedling quality, types and suppliers, crop protection, timing and nature of operations, equipment. Financial - Scale of operations, typical investments in dollars and labour per crop, marketing costs. Environmental issues - spin-off benefits of trees, crop-protection chemicals, "organic" methods, environmental farm plans/incentives. Government issues - farm taxes, pesticide permits, HST options, income tax. Following through - reading journals, attending industry events, making adjustments. 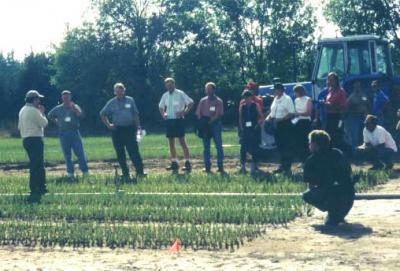 Field days are what the name implies, you will be out in the field for a good part of the day. Your exposure will be to the host farm's crops, methods and approaches, but also to the views and comments of participating experts and the many Christmas tree growers who are also attending. Host farms for field days have varied in the past from operations which sell a few hundred trees, to large scale growers marketing close to 100,000 trees each season. Different formats are offered from year to year and the event is held at widely varying locales. The business portion lasts for about three hours. The rest of the agenda may contain key-note speakers, presentations, excursions or coincide with local events. We have staged both one and two-day events with elaborate banquets or just a good lunch. Whatever the format, there is always a strong informational component for participants. In order to purchase, transport and use certain classes of crop protection products, the Ontario government requires you or your employees be certified. The course is available through the Ministry of the Environment. Members in good standing receive two official publications: 1) Ontario Christmas Tree News is the Association's official newsletter. It is distributed electronically to oue members three or four times annually and keeps them up-to-date on industry issues specific to Ontario and Canada. It is also the main way the CTFO office has to communicate with our members. For those members who do not have email, a scaled down print version is sent by surface mail. Our annual member advertisers also receive a complimentary listing on the "Industry Suppliers" page of the CTFO website and are invited to have a display at our annual field day events.2) The Great Lakes Christmas Tree Journal is a very high quality magazine published and distributed by surface mail four times annually. The magazine is produced by the Michigan Christmas Tree Growers Association and includes the latest in silvicultural research and techniques coming from the Forestry section at the University of Michigan. This magazine is the result of an alliance between CTFO, MCTGA and a number of other state associations bordering on the Great Lakes. Please note that CTFO "Subscribers" do not receive the GLCT Journal. An online electronic library which contains stories from back issues of our magazine as well stories from other sources to help association members in good standing find Christmas tree information in a timely and organized format. Associate membership at $140 per year is a pre-requisite to enrollment in the Grower Education Program. Your cheque for $140 must accompany your registration. Cost of the Correspondence Course is $225.00. Field day and annual meeting fees are typically $35 plus $10 for lunch, with pre-registration encouraged. Please enclose a note with your full address, telephone, fax and email as applicable. Also include the lot, concession, township and county/region were your farm is located. To enroll in the Correspondence Course send an extra $225.00. If you expect to market Christmas Trees this coming season you must become a full member (cost $205.00) on joining CTFO. Please call us to discuss the benefits of joining.